A complete guide to an innovative, research-based brief treatment specifically developed for service members and veterans, this book combines clinical wisdom and in-depth knowledge of military culture. 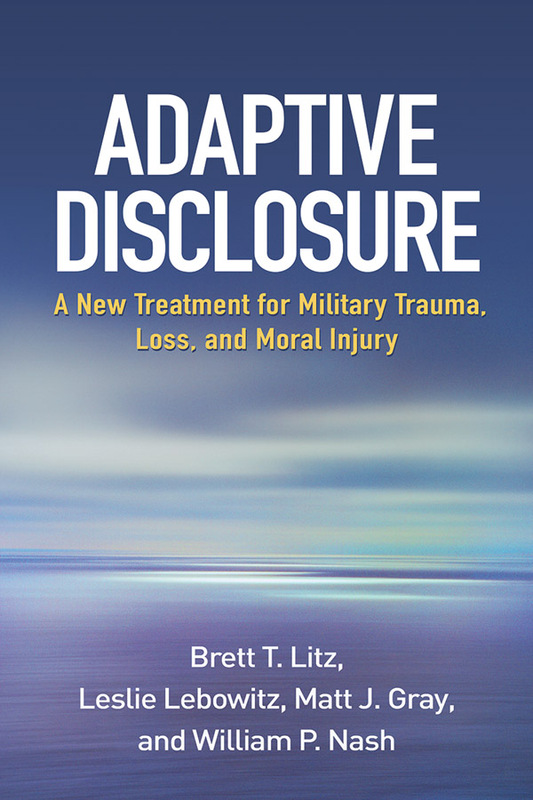 Adaptive disclosure is designed to help those struggling in the aftermath of traumatic war-zone experiences, including life threat, traumatic loss, and moral injury, the violation of closely held beliefs or codes. Detailed guidelines are provided for assessing clients and delivering individualized interventions that integrate emotion-focused experiential strategies with elements of cognitive-behavioral therapy (CBT). Reproducible handouts can be downloaded and printed in a convenient 8½" x 11" size.